Check out Utah stay and play golf packages for great deals on golf and travel. Below is a list of golf resorts, golf packagers and golf courses offering golf packages for the traveling golfer. 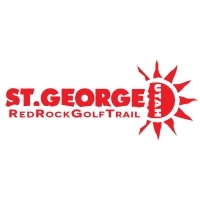 Elevate the enjoyment of your vacation with a game of golf in St. George, Utah. At Clarion Hotel, we specialize in creating the perfect golf packages St. George, Utah establishments can't match. We have deals that cover any number of nights and 1 or all of the golf courses listed below.